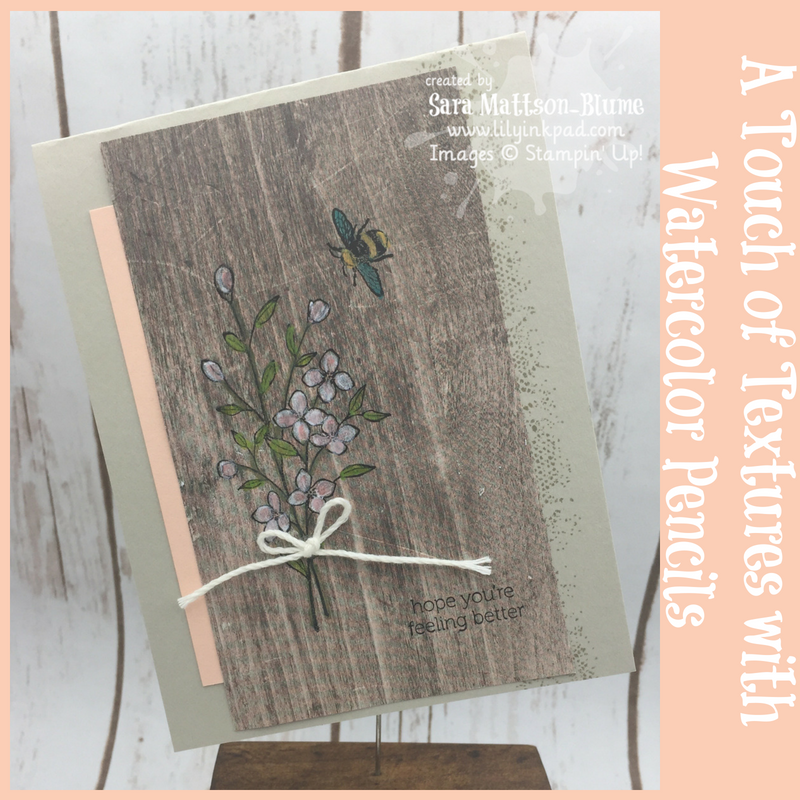 I used my watercolor pencils and Stazon ink for the images. I love that the watercolor pencils clearly show up on the wood. I use the "dip the tip in water and pencil color" technique. It works perfectly. I mixed my colors a bit--Calypso Coral and Whisper White. 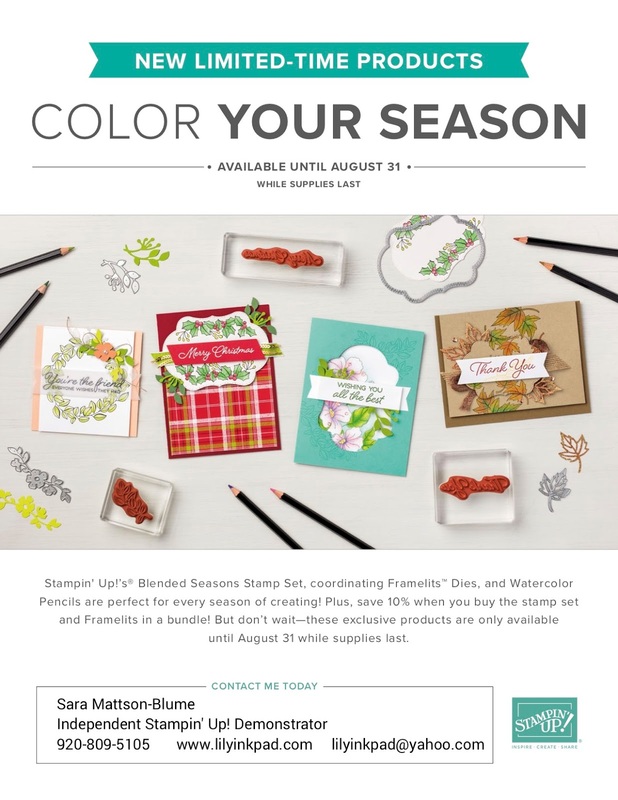 My stampers at this month's Stampin' Celebrations colored them in bright, fun colors and it looked fabulous, too. 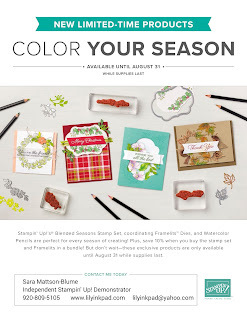 Just for this month, Stampin' Up! 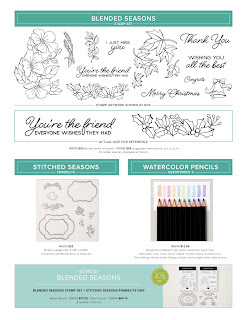 released a Watercolor 2 pack with the Color Your Seasons bundle. 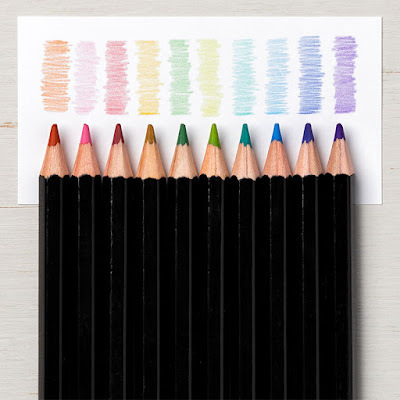 The new colors are: Balmy Blue, Cajun Craze, Cherry Cobbler, Coastal Cabana, Crushed Curry, Flirty Flamingo, Garden Green, Gorgeous Grape, Granny Apple Green, Night of Navy --for only $12.50! Stampin' Up! has not guaranteed availability after August 31, so snag yours today!